A small tree, seldom growing more than 12 m high and a diameter of 0.3 m to 0.6 m.
It is quite a rare tree found in rain or marsh forests. 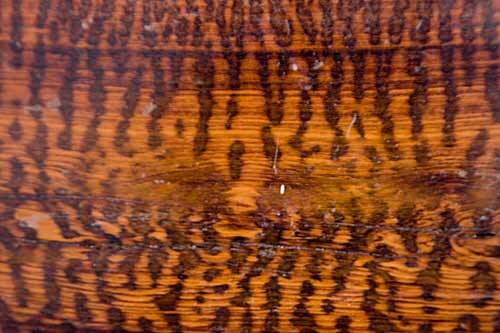 The heartwood has the appearance of snakeskin, being red/brown with black vertical stripes which run across the grain. It is very hard and dense and used for decorative turning and violin bows. Email or telephone to enquire.